Warriors fans can stop panicking. Their beloved point guard, Stephen Curry, is not only going to be on the Warriors this upcoming season, but he also wants to be the starting point guard for the Warriors for a long time to come. Earlier today, the Charlotte Observer released an article that merely suggested that Curry would be happy playing for the Charlotte Bobcats, because he’d be back in his hometown and around his family. The article started as a simple interview, which involved Curry discussing potential added “pressure” if he were to play in his hometown on a regular basis. Read what Curry had to say in the original article here. Then, the media did what the media does best. They flipped this story from a harmless interview into a wild frenzy of confused fans. Slam Online released the story this afternoon with the headline: “Stephen Curry Wants to Play for the Charlotte Bobcats … Some Day.” This headline is so incredibly misleading, when really the interview was just basic speculation on Curry’s part. Read Slam Online’s article here. Amongst the chaos, Curry managed to send out two tweets that must have soothed the minds of many concerned, distraught Warriors fans. The first tweet read: “Probably #nobodycarestho. But… If you have read a certain rumor today, plz don’t confuse my love for my fam as a WISH to play in Charlotte.” The second read: “I’m #GSW for life and ready for the long haul. Just answering a question about the pressure of family in my hometown. Ok that’s all. Thanks.” Warriors fans have got to appreciate Curry’s honesty and class in this unnecessarily dramatic situation. Stephen Curry is a classy, smart man who has shown he wants to play for the Warriors for as long as possible. Hopefully, the Warriors organization sees his loyalty and dedication and keeps him around for the long haul. Today Bruce Bochy wrote a letter to the fans covering many topics. The general theme of the letter was gratitude. Bochy thanked the fans for coming out to games no matter what the standings are and no matter who the opponent is. Because of the Giants’ World Series title last year, fans have proven to be more dedicated and loyal than ever before. Tonight’s game marked history. The Giants set a franchise record with the highest single-season attendance in its 128-year history. A total of 3,303,000 fans came out to AT&T this season, breaking the previous record of 3,277,244 set in 2001. This attendance total is the 3rd best in the league behind the Phillies and Yankees. This is quite an impressive stat, and it’s great to see Bochy acknowledge that. Although his staff most likely prompted him to write this letter, this act of kindness does mean something to fans. As frustrating as some of Bochy’s decisions can be, he is a loyal, thankful man who really does see how special Giants fans are. It’s great to see a form of consolation on Bochy’s part, however rough this season might have been. Before the 2011 season started, the Giants organization and their fan base could not wait to see the young phenom, Brandon Belt, make a significant contribution towards another World Series title. Brandon Belt had soared through the minor leagues and played at all 3 levels: A, AA, and AAA. Over the course of the season with all 3 teams, he hit a .352 average, .455 OBP, .620 slugging percentage, 1.075 OPS, and had 23 home runs in 136 games. Based on these strong numbers, who wouldn’t want to see this kid in the majors? On top of that, Belt is a smart kid with a great head on his shoulders. He respects the game and everyone around him and seems very “old-school.” He even wears his socks up! He seemed like the perfect shot at the Giants having another NL Rookie of the Year. During spring training the hype began to expand nationally. Many sports writers, broadcasters, and analysts declared that Brandon Belt could be the 2011 NL Rookie of the Year. People began to label him as the “Next Buster Posey,” not just because Posey also won the Rookie of the Year Award, but because he could provide that energy and that spark that Posey provided en route to the World Series title. Since Aubrey Huff is able to play left and right field (not particularly well, but he’s at least fairly competent in the outfield) and since he’s aging, the decision to bring up Brandon Belt for opening day became much easier for management. Brandon Belt was sent to the DL with a hairline fracture in his left wrist, and he didn’t return to the Giants until July 19th. He started against the Dodgers and went 2-4 with a home run and 3 RBI’s. Ever since then though, Belt has continued to showcase inconsistency. Belt had a .263 average for July, a .212 average for August, and has a .195 average for September. His stat line for the whole season (consisting of 57 games): .213 average, 8 home runs, 16 RBI’s, .300 OBP, .396 slugging, and .696 OPS. Not exactly NL Rookie of the Year numbers. Yes, you can’t exactly count this as a true example of Belt’s abilities because of his injury and his constant shifting between AAA and the Giants. 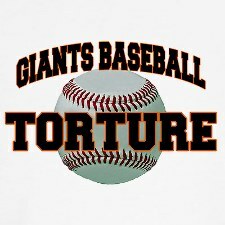 I truly want Brandon Belt to do well, because he seems like a very intelligent baseball player with many useful skills that could help the Giants significantly. Giants management simply brought him up too early. I believe that the Giants should have let Belt start the year at AAA, like Buster Posey did last year. They should have let him establish himself as an everyday player and make sure that his swing was mechanically correct. Then once he was ready, they could call him up, under one condition though: make sure that he can start almost every day. It wouldn’t matter whether they had him starting in left field, right field, or at first base. Besides, Buster Posey started at first base when he first came up and was eased into catching duties. If Belt came up knowing that he would be starting and that he was here to stay, I truly believe that he would have been more natural and comfortable at the plate. He would have a more relaxed approach and not have to think so much when hitting, which would allow him to have better at-bats and hit more consistently. This would have been the appropriate “2011 NL Rookie of the Year” approach. The beginning of his career was mishandled by Giants management, but this is just a setback. Brandon Belt will bounce back to his normal form. Don’t get me wrong, Brandon Belt is the future of the Giants. Who knows, maybe he will become the next Buster Posey. It’ll just have to happen in his second season. This past weekend, 10 Warriors players went to Las Vegas to participate in the Impact/Lockout League. The players that came were: David Lee, Monta Ellis, Klay Thompson, Jeremy Tyler, Charles Jenkins, Stephen Curry, Lou Amundson, Dorell Wright, Jeremy Lin, and Ekpe Udoh. This weekend served as a form of “training camp” for the Warriors since the lockout is preventing them from having a formal training camp with the whole coaching staff. The Lunch Box, a new online show for Comcast Sportsnet, caught exclusive footage of one of the practices. Check it out here. For more information about The Lunch Box, visit: http://www.csnbayarea.com/pages/thelunchbox. You can also follow the show on Twitter here: @TheLunchBoxCSN. After experiencing a little bit of hope that the NBA owners and players were starting to make some progress on ending the lockout, all hope seems to be lost that this lockout will end any time soon. After unsuccessful negotiations on Tuesday, NBA fans need to face the harsh reality that this upcoming season will either be shortened, or won’t happen at all. Both sides met on Tuesday for about 5 hours and it ended the same way that every other meeting has ended. No progress on a new deal. No new proposal. “Agree to disagree.” Not exactly ringing endorsements. Derek Fisher, the president of the NBA players’ union, and the rest of the players offered somewhat of a compromise by proposing a slightly lower revenue for the players while still maintaining the current salary-cap system, which is the most important issue for the players. However, the owners remained stubborn and appear relentless in keeping the current salary-cap system for a new labor agreement. Both sides have exchanged proposals. However, neither proposal has influenced either side to change their respective opinion. The players have realized that, for the owners, it is much more than just making a higher profit. The owners of the smaller-market teams such as the Minnesota Timberwolves, Milwaukee Bucks, Utah Jazz, etc. want to ensure that they can compete financially with the larger-market teams such as the Los Angeles Lakers, Boston Celtics, and Miami Heat. Because of the current luxury-tax system, the larger-market teams have been able to be more aggressive in the free agent market by simply outspending the competition. In addition to this, the owners want the players to earn less than their current share of all NBA revenues, which they find extremely significant. The players currently make 50% of all NBA revenue (they technically earn 57% of all Basketball-Related Income, or BRI), and the owners want this number to be much lower. The fact that each side has a different view as to what is the most important issue for the new labor agreement is not a good sign. Ian Thomsen, a writer for ESPN, described the whole situation best when he said, “The bottom line is that the owners have the means to win this argument because they can afford to not pay the players longer than the players can afford to live without their pay.” David Stern knows that if many NBA players decide to go overseas and play in Europe or Asia, he and the owners will still have more power to get what they want, because Stern believes that many of the players will not be able to live with lower salaries and less appealing lifestyles in international basketball leagues. If this isn’t the definition of dysfunction, then I don’t know what is. The NBA was at an all-time high in TV ratings after the NBA Finals in June. The much-hated Miami Heat were playing weak, unconvincing basketball and the “underdog” Dallas Mavericks were making the Heat look like, well, exactly what they are: a 3-player team. 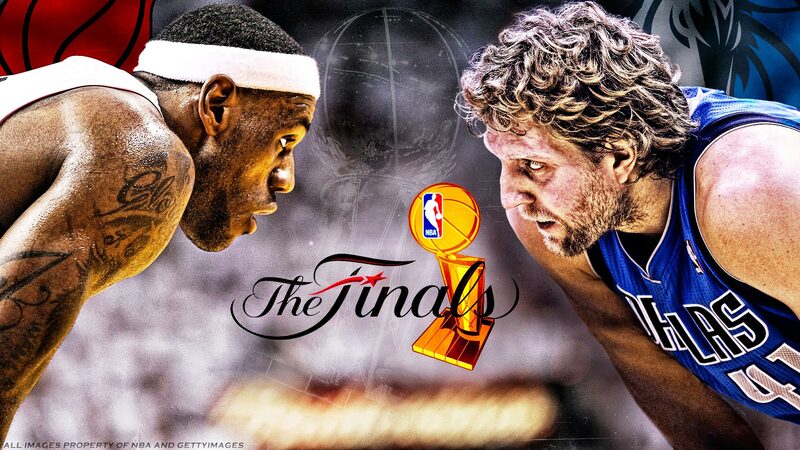 NBA fans loved to see the almighty Heat collapse under the ultimate pressure of the NBA Finals, so ratings were booming. With all these negotiations droning on, NBA fans are beyond frustrated. They won’t be getting the full NBA season that they deserve. In addition, basketball is going to fall even further down the rankings of the most-watched and most-beloved sports in the US. Football is, of course, at the top despite a lockout of their own during the offseason, and with baseball not facing a lockout and having an entertaining season, basketball seems to be in trouble. My prediction is simple. The NBA season will happen. It will be shortened down to a 50 game season. However, it will get close to the point of shutting down the entirety of the season. The new labor agreement won’t be settled upon until the very last minute, literally. The NBA’s ratings won’t recover this season, but they will slowly begin to climb up to the point of relevance in seasons to come. The teams with new coaches, such as the Golden State Warriors, Minnesota Timberwolves, Indiana Pacers, etc., will all have trouble recovering from the lost training camp and preaseason. They will be forced to throw together new systems in a matter of days, and the teams will suffer dramatically because of a lack of chemistry and understanding amongst the players. How ironic that most of these teams are the teams in the smaller-markets that won’t be able to compete with the larger-market teams in free agency and in general. Seems to be a recurring theme. The more established teams such as the Lakers, Celtics, and Bulls will fare the best. Sidenote: the Miami Heat will not win a championship…just sayin’. So what does this lockout mean for NBA players? Well, some players will decide to play overseas (some will obtain potential opt-out clauses in their contracts so they can come back to the NBA if there is a season) because of the money and the simple ability to play the game they love. The players that will choose this option though are the ones that are free agents with uncertain futures or reserve/bench players also with uncertain futures as to if they will be traded or not. Will big-name, high-profile players such as Kobe or Lebron go overseas? Doubtful. It’s not worth it to them to potentially injure themselves, especially for Kobe who has faced so many injury problems. All players though will have to stay in shape just in case the season miraculously happens at some point. It’s almost a sense of false hope. Stay in shape and work hard, even though you won’t be playing for probably 4 or 5 months. 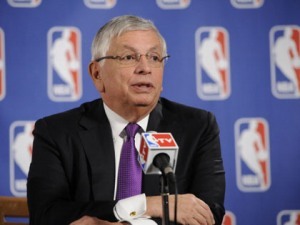 Lastly, what does this lockout mean for NBA fans? In simple terms, it means that fans won’t be able to watch NBA games for a while. They won’t be able to go see the great game of basketball at it’s highest level of competition for a long time. No more going to Oracle Arena and watching my Warriors anytime soon. Will there be a 2011-2012 season? Eventually. We’ll just have to wait 4 or 5 months and see. 10 Warriors players have shown up so far to play in the Impact League aka the Lockout League. The Warriors players that have made appearances include: David Lee, Monta Ellis, Klay Thompson, Jeremy Tyler, Charles Jenkins, Stephen Curry, Lou Amundson, Dorell Wright, Jeremy Lin, and Ekpe Udoh. There were some pick-up games that included just Warriors players, and then some players, including Monta Ellis, stuck around for some games with other NBA players like Corey Maggette and Jermaine O’Neal. Warriors players were supposed to meet up again a couple times this weekend. Read Matt Steinmetz’ review of how each player is doing so far here.